Swale Heating Selects 8x8 Cloud Communications | 8x8, Inc.
Swale Heating receives 10,000 customer calls per week and needed a communications solution that could handle large call volumes without making customers wait. 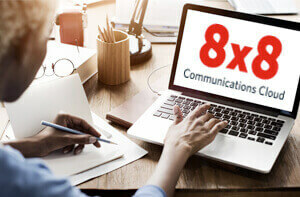 8x8 delivered a flexible, cloud-based solution that combines business phone service, unified communications and a contact centre to improve the customer experience and increase employee productivity—all while reducing the company’s communications costs by one-third! Swale Heating is the biggest independent heating company in the South of England, servicing homes across Kent and Sussex. On average the company’s contact centre receives 10,000 calls per week, so the phone system needs to be robust enough to handle large call volumes even at peak times. However, Swale Heating’s previous on-premises PBX only had a 30-line capacity for the entire contact centre. The result was long hold times for customers, especially during the busy winter months. The PBX system wasn’t working well for employees, either. Swale Heating has a number of working parents and care givers who needed a more flexible work environment. The company wanted to give them the ability to easily work from home. In January 2016, Swale Heating deployed a cloud-based 8x8 solution that combines Virtual Office, Virtual Contact Centre and ContactNow to provide Enterprise Communications as a Service (ECaaS). This industry-leading technology has not only reduced the Swale Heating’s costs by one-third, it has also boosted customer satisfaction and employee productivity. Introducing 8x8’s ECaaS solution was an obvious choice for us. We needed something that would work across the entirety of the business, was seamless to deploy and most importantly would boost the user experience for our customers—8x8 gave us all three. 8x8 Virtual Contact Centre enables Swale Heating to handle much larger call volumes to better meet customer demand. The company now has 80 seats for customer service agents, and can use skills-based routing to match customers with agents who have the expertise to assist them. The new Virtual Contact Centre also gives customers the option to receive a callback instead of waiting in queue, a feature that has become increasingly popular. As a fast growing company in a seasonal industry, Swale Heating now has the flexibility to easily add contact centre seats in winter during peak season and remove them in summer when business is slower. In addition, 8x8 enables the company can track and monitor inbound calls, allowing managers to plan capacity according to call volume throughout the year. To integrate Virtual Contact Centre and retrieve Swale Heating’s historical call records and agent status data, 8x8 used the injixo workforce management suite. At the same time, 8x8 Virtual Office gives Swale Heating employees more options to work flexibly. The advanced business phone service features built-in audio- and videoconferencing and instant messaging for 160 seats. Calls can be transferred or forwarded to alternate numbers and devices, including smartphones, tablets and home phones, allowing employees to work almost anywhere as if they were in the office. 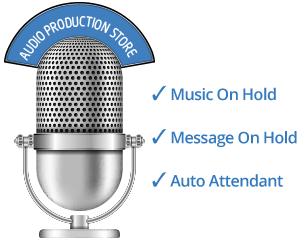 Implementing 8x8 ContactNow has enhanced customer communications and marketing campaigns. Swale Heating can now run relevant campaigns to communicate with customers and share emails and critical customer information between agents, providing faster call resolution and increased customer satisfaction. Heating company cuts costs while improving customer service and productivity with 8x8.